I love a good grab-and-go breakfast treat. It's not always possible to get out the pots and pans, and create a delicious breakfast feast. I wish I could make pancakes or eggs benedict every day (or at all), but it's just not plausible, especially for a working girl. 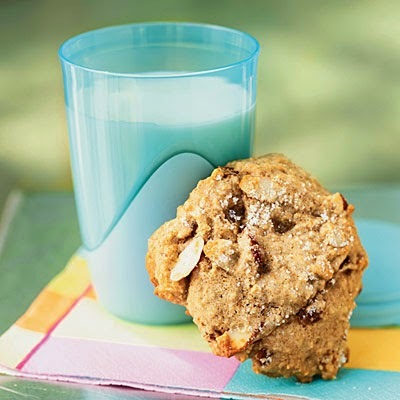 These Breakfast Fig and Nut "Cookies" by Cooking Light are ideal for me. I would probably throw in some fruit or a to-go carton of yogurt to add a little more substance to my morning. But really...who doesn't love cookies for breakfast?